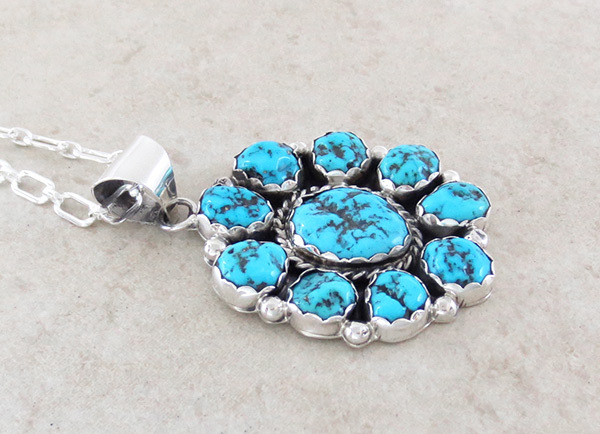 2" tall and 1 3/8"
This gorgeous turquoise cluster pin was created by Navajo Artist Pearlene Spencer. 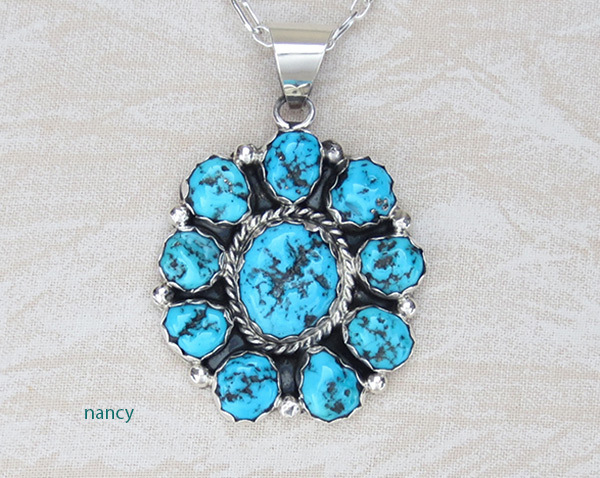 sets in a scalloped bezel. 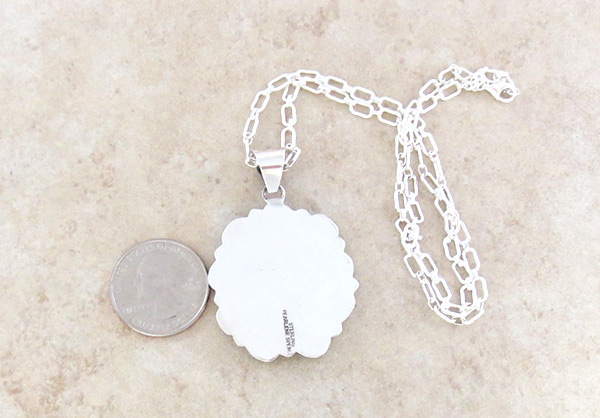 It comes with a really nice 18" sterling silver chain. It's 1 5/8" tall, plus 3/8" bail, by 1 3/8" wide. 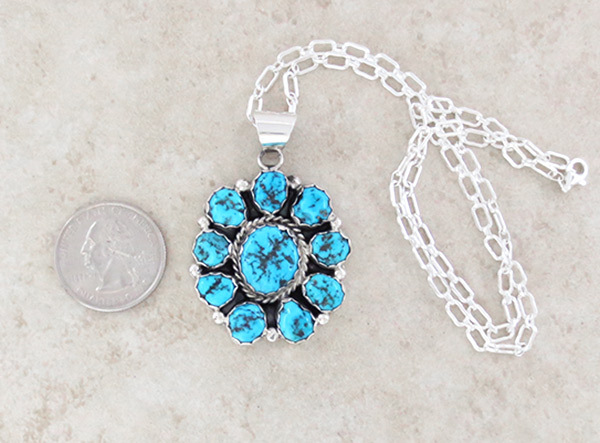 Pendant weight: 14.3 grams on my scale.